EQ Investors is delighted to announce that its Positive Impact Portfolios have received the coveted Defaqto 5 star rating. The portfolios achieved the highest ratings possible in the managed portfolio service (MPS) on platform category. To achieve the Defaqto 5 Star Rating, the EQ Positive Impact Portfolios had to offer a number of core features aimed at ensuring that EQ’s managed portfolio service meets the needs of advisers. Defaqto is an independent financial research company that specialises in rating comparing and analysing financial products. Defaqto who have been producing Star ratings since 2000 across a range of areas in the professional advised space, outline that a 4/5 star rating indicates a proposition is one of the best quality offerings in the market. 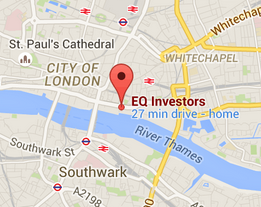 EQ has also further extended the availability of the portfolios on platforms. The EQ Positive Impact Portfolios are now available on six platforms (7IM, Nucleus, Transact, Standard Life, Novia and Alliance Trust) and across seven risk profiles (Cautious, Cautious Plus, Balanced, Balanced Plus, Adventurous, Adventurous Plus and High Octane). Is the ‘safe rate of withdrawal’ just a dangerous idea?